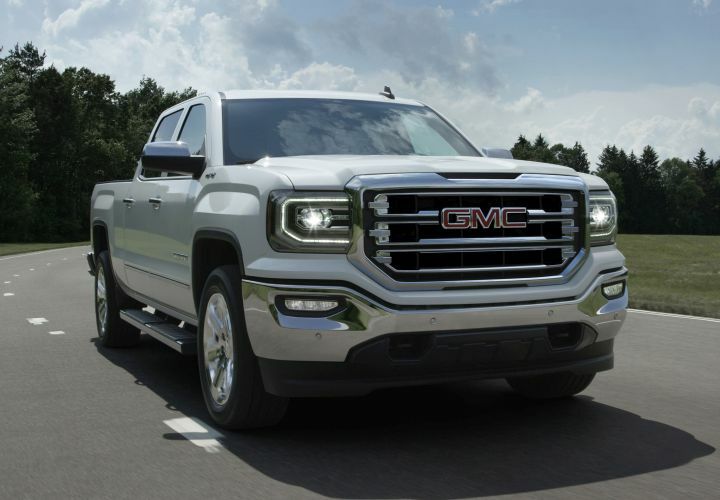 The most and least recalled vehicles have been identified, which include the 2016 GMC Sierra SLT pickup (shown). The Mercedes-Benz C-Class topped a list of the most recalled cars in recent model years, while the Hyundai Accent was the least-recalled vehicle during the same period, according to a report on ISeeCars.com. The used-car listing portal identified the top 10 recalled vehicles among the model years from 2013 to 2017, as well as the 10 least recalled vehicles in those years. The site calculated an average recall rate based on 100,000 units sold and total recalls from the National Highway Traffic Safety Administration's detabase. The analysis is an attempt to assess overall vehicle quality because it compares the recall rates with the Consumer Reports Used Car Reliability ratings. The 10 vehicles with the highest recall rate average 2.73 recalls per year per 100,000 units sold and have an average CR reliability rating of three (out of five). The 10 vehicles with the lowest recall rate average 0.16 recalls per year and have an average reliability rating of 4.5. A vehicle with a high number of recalls can create additional downtime in a commercial or government fleet, as well as additional headaches for retail buyers. "A recall means hours of lost time on top of potential safety issues," said Phong Ly, chief executive of iSeeCars.com. "At the very least, it involves an appointment, a trip to the dealership, and waiting around while the repairs are being made or dealing with a loaner car if the dealership is even prepared to make the fix. Owners of cars with repeated recalls are faced with this hassle many times over." The C-Class had a recall rate of 5.77. Other highly recalled vehicles included the GMC Sierra pickup (3.25), BMW 3 Series and 4 Series (2.95), Dodge Durango (2.71), Nissan Pathfinder (2.00), Ram pickup (1.99), Toyota 4Runner (1.98), Dodge Charger (1.74), Chrysler 300 (1.71), and Chevrolet Tahoe (1.52). Vehicles with the lowest recall rate after the Accent (0.10) included the Chevrolet Equinox (0.11), Toyota Corolla (0.12), Honda Civic (0.14), Honda CR-V (0.14), Honda Accord (0.16), Subaru Crosstrek (0.18), Toyota Camry (0.23), and GMC Terrain (0.26). Read the full report from ISeeCars.com here.